Florida is the top vacation destination for people all over the world. Next time you take a trip to the sunshine state, leave the crowds behind and visit these 7 hidden gems in Florida. When most people think of Florida, two things immediately come to mind: Disney and some of the best beaches in the United States. 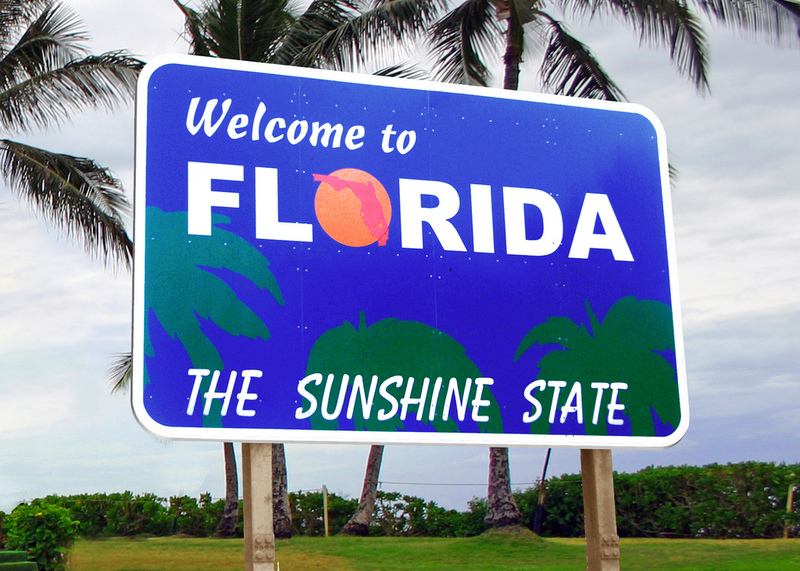 Maybe you love Florida orange juice or visiting buzzing cities like Miami and Jacksonville, too. But, the next time you pay the Sunshine State a visit, check out some of the hidden gems in Florida. This part of the country has much more to offer than a coastline and a picture with Mickey Mouse. Here are some of the best natural and man-made wonders Florida locals and visitors alike have to see. If you’re already familiar with Florida beaches, it’s time to check out the springs awaiting in the mainland. Ginnie Springs is one of the most popular ones to check out. Located just north of central Florida, and a quick drive from the University of Florida, Ginnie Springs is where you can let your inner child out to play. It’s also safe for the actual children in your group. You can come for the day or camp out for the weekend. While you’re here, be sure to take a float down the river, take some time to sunbathe, and maybe cook up a few classic camping meals, too. There are plenty of small grills and bathroom stations available all along the driving trails, which are close to the river. The real adventure of Ginnie Springs, though, are the small pools located throughout the park. Keep an eye out for these special swimming space. They’re a little more private than the main river area and just as refreshing. Head a few hours southeast from Ginnie Springs and you’ll end up in Palatka, Florida. This is home to Ravine Gardens State Park, a beautiful destination for those who prefer hiking and running over swimming and fishing. The Ravine Gardens are a beautiful natural oasis. Head on one trail to discover lush, thick greenery on suspended bridges. Or, check out the open garden area, which is much more organized and well-kept. If all you want to do while you’re in Florida is hit the beach, we can’t really blame you. But, it’s one thing to end up in a dense, highly-populated tourist town and another to find Florida hidden gems along the coastline. Head to Fort De Soto State Park for just that. On the west coast of Florida, Fort De Soto is a calm, quiet beach touching the Gulf of Mexico. The water on this side of the state tends to be more clear and not as rough as that of the eastside. This makes Fort De Soto great for lounging by the water, boating for the day, or finding some amazing local restaurants to wrap up the evening at. Life here revolves around the water, which makes sense the Fort De Soto area is made up of five keys banded together by causeways. Whichever one you end up at is sure to be a treat. Maybe you love the water but you’re looking for a little more of a thrill – look no further than Bob’s River Place. This is located in Branford, Florida, a small town in between Central Florida and the Panhandle. Originally just an average swimming hole, Bob’s River Place is now an amazing destination for fun-lovers from both near and far. Visitors can jump onto a rope swing before cannonballing into the water, or try out one of the many slides built along the shore. It’s easy to spend an entire day jumping around and hanging out here, but note, it’s probably best for the little ones to stay at home. Another one of the best secret places in Florida is Tarpon Springs. Tarpon is a thriving Greek community, with plenty of restaurants lining the dock waiting to welcome you. Stop in for some of the best fresh fish in Florida, or take a stroll through all the shops. You can find plenty of unique, beautiful Florida souvenirs to bring back home with you. Or, maybe make a stop to grab a bit of baklava for the road! Tarpon is also very close to the Tampa Bay area. You can make it a day trip if you’re staying in the city, or just a pit stop along the way. Tampa is home to amazing sports teams of all kinds, amazing restaurants, and a few roller coasters of its own. Also on the list is Flagler College, located in one of the top destinations in Florida – St. Augustine. Most people visit St. Augustine for the fort, the lighthouse, and the artisan shops. Life moves a little bit slower here, and the locals are very proud of the community they’ve created. One of the most noteworthy things the city has to offer, though, is Flagler College! This is absolutely worth checking out even if you’re not a student, considering the rich history of the campus. Flagler College was originally the Ponce De Leon Hotel, and it also served a valuable purpose to the Coast Guard during World War II. Last but not least, try to visit Cocoa Beach if you can. Known as a popular surf destination, Cocoa Beach itself isn’t exactly one of the hidden gems in Florida. The lesser-known water activities are what landed Cocoa on this list. Sure, you can surf and enjoy the shore as much as you want. Just be sure to do some fishing and check out the Banana River, too. The Banana River is home to some of the most amazing kayaking experiences in Florida. It’s home to bioluminescent species that make the water look like it’s lit up at night! The experience is truly unlike anything else, and you can click for more info to plan this part of your trip. Did you know that Florida is home to the horse capital of the world? Or that it’s where the Cuban sandwich was created? These are just a few fun facts about this amazing, beautiful state. But, to truly understand the wonder of this part of the country, you have to discover all the hidden gems in Florida for yourself. Check out these travel tips to help get you there! If you are looking for the ultimate location to take your family away to this year then look no further than the land of dreams that is Florida. As far as family trips go there are few better places on the planet which can offer the kind of options, infrastructure and fun-packed adventures as the Sunshine State can, and if you were in any doubt as to why you should be whisking your family there as soon as possible, here are just a few reasons why you should rethink. Theme parks are one of the most popular reasons why millions of tourists descend on Florida each and every year. It is not just the high quality of theme parks such as Disney and Universal Studios, it is also the sheer volume of theme parks which occupy the state. Here the kids can play with Disney characters in the Magic Kingdom, live their film fantasies in Universal, visit Seaworld for some aquatic themed fun or head to Busch Gardens for a safari adventure. Whatever the family enjoys, you can find it here in Florida. Sunny days are usually a prerequisite for our summer vacations and they don’t get much more sunny than here in Florida. The tropical heat is the perfect weather for your vacation, and it is a climate which you can pretty much guarantee to find, with the exception of the odd tropical storm. Away from the fun and craziness of the theme parks, you will find the huge Everglades National Park. This enormous area of marshland is home to a large variety of wildlife such as birds and fish, as well as more dangerous beasts like the alligators that roam these waters. For the perfect family experience, hire one of the hovercrafts which will take you gliding over the water, stopping at the perfect vantage points to take some treasured snaps of these majestic and interesting creatures. Florida is often seen as a somewhat stressful vacation which involves a tightly packed itinerary, early mornings and late nights. With this being said however, you can manage your vacation to take in plenty of sights, and still have time to relax on some of their pristine beaches. Considering that almost 80% of the state is coastal, you won’t be surprised to learn that there are beautiful beaches throughout Florida and wherever you happen to be staying, you can all but guarantee that there will be some soft, talc-like sand just waiting for you. Miami is a city which has just about everything to impress all types of different tourists, and the family will love spend some time in this culturally rich destination. Here in Miami you can relax with Cuban culture in Little Havana, rub shoulders with the rich and famous on Ocean Drive and explore some of the finest places to shop in the entire state. Staying in Miami may not be the best idea for the kids, but it is most definitely worth visiting and exploring. Make this year truly special with a trip to the Sunshine State. Fantastic Florida – Not Just For Summer Anymore! Have you been looking for the perfect place to vacation this winter with the family? Are you stuck on where to go and what to do and you’re trying to make sure everyone stays happy? For the best in winter sun as well as a whole host of things to do, consider hitting up the southern state of Florida. Known as the Sunshine State, and for good reason, Florida is one of the best places to head for those who want to soak up the sun while having fun as well. Check out some of the top things to do in this vast and enjoyable state. If Florida has one thing in spades, it’s amusement parks. Whether you want to while the day away alongside your favourite characters at Disney World or you want to hop on some impressive TV and film themed rides at Universal Studios, the world is your oyster. You can grab tickets and head to Universal Studios easily online and don’t forget to check out other options such as SeaWorld as well as the whole host of waterparks on offer too. There is a reason Miami, FL is one of the country’s top spring break destinations. And it’s not just spring, or summer that make Miami a great Florida travel destination, but winter and fall too. Starting with the obvious beautiful beaches, amazing nightlife, and renowned international food scene, Miami has become a virtual mecca for celebrities and any American who wants to enjoy perfect weather year-round. While Miami is not known for being a thrifty town, there are all sorts of family-friendly activities that don’t have to break the bank, including walkable architectural tours, people-watching on Ocean Drive, or cozying up to a good book at one of Miami’s bookstores. Daytona isn’t just a beach city in Florida. It’s also home to the international Daytona Speedway which is home to the internationally acclaimed Daytona 500 which takes place each February, typically on President’s Day (18th). Be sure to book tickets in advance if heading down around this time as tickets and hotels sell out fast. A great day out for the family, especially the kids, so pack the sunscreen and hats and head to Daytona for a day to remember forever. For families and couples alike there is no place quite like the Keys. Located in Florida’s deep south, this string of pearlised islands in the deep blue Caribbean sea are perfectly located to have beach weather nearly all year round. Book in at one of the luxury resorts and hit the sand for some sun and relaxation with great views and calm seas. A great day out for anyone in the family, the Kennedy Space Centre is ideal for learning about America’s race to the moon. Featured are some of the most unique and awe-inspiring artefacts from these days including space suits that have been on the moon itself, still covered in moondust. Come see the remnants of the rockets that took man past the earth’s atmosphere and if you’re lucky, book in to see a rocket launch in person at Cape Canaveral. Deep in the south of the state you will find this vast area of marshy wetland known as the Everglades. Considered to be one of the most unique areas of wildlife habitation in the state, you can get tours around the area on hovercraft to see some of the residents of the area such as crocodiles and the mass numbers of birds that call this region home. A perfect way to spend a few days, especially with kids who have a penchant and love of animals and wildlife. So if you’re looking for the perfect way to spend your holidays this year, look no further than Florida. 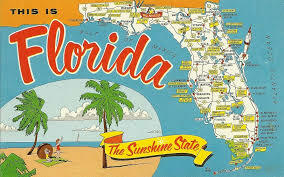 The Sunshine State is always open for business and ready with open arms to welcome you and yours to her sandy shores. Have you been thinking about the ultimate family getaway but you aren’t totally sold on any one destination yet? Perhaps the kids have been bothering you for months (or maybe even years!) to take them to Disneyland in Florida and you’re seriously considering it. Especially now that autumn is nearly here and everyone is back to school, the low season tends to make big, spectacular trips to tourist destinations a bit more affordable, so now’s the perfect time to head to the Sunshine State. Read ahead for other things to do in Florida that will really make your time in the state memorable. This is the big reason most people visit Florida – to hit up Disneyland! It’s known as a common request amongst children of all ages to go to Disneyland Florida due to its amazing reputation as being one of, if not the best Disney park in the world. Sure, there’s California and France, amongst others, but Florida is touted as the best one there is. Not only do you have Disneyland though, there are a huge number of amazing parks to choose from including Epcot, Universal Studios, Sea World and more. For those planning to go closer to Halloween there are dates for Mickey’s “Not So Scary” Halloween Party as well which gives kids the opportunity to trick or treat in the park as well as dress up in their favourite scary costume! This is one of the highlights of Florida for anyone who loves hearing about or studying anything to do with space sciences or space travel. Come see the shells of important rockets that took men to the moon in NASA’s Apollo program in the 60s and 70s and even get a glimpse of their space suits – still caked in some spots with moondust. The outside park contains the remnants of the rockets and you can trace mankind’s history of space travel all the way back to when it first begun. If you’re lucky you can catch a rocket launch at Cape Canaveral – NASA’s launch pad for missions into outer space. Touted as one of the biggest national parks in the United States, the Everglades are known for their large swathes of wetlands and vast expanses of sawgrass combined with rivers and cypress swamps. Known also for their large populations of crocodiles and alligators, the Everglades enjoy a huge array of wildlife throughout which draws visitors every year who come to explore the park which stretches for over a million acres. It continues to be one of the main draws to the region as well as home to some of the indigenous populations of Florida. So there you have a couple of great options to check out when you’re in the region of Florida. With so many different things to check out and things to do, it’s easy to see why it continues to be one of the most popular holiday destinations in Florida. 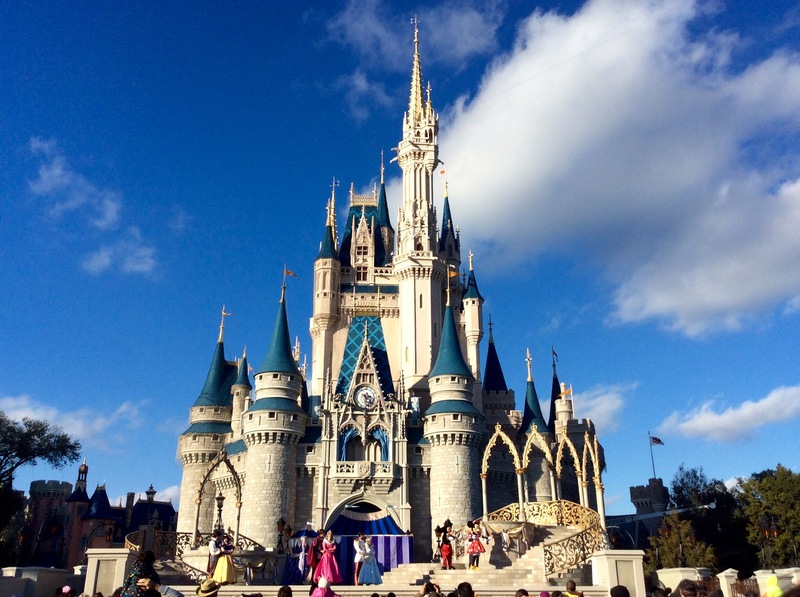 Do you want to have the perfect family vacation in Orlando this year? If you do, you should consider putting SeaWorld onto your itinerary. This theme park combines everything you need to have an amazing trip. You can see a range of marine life and go on the rollercoasters inside the theme park. SeaWorld also has different events throughout the year to cater for unique experiences. This article describes everything you need to know about visiting this attraction. 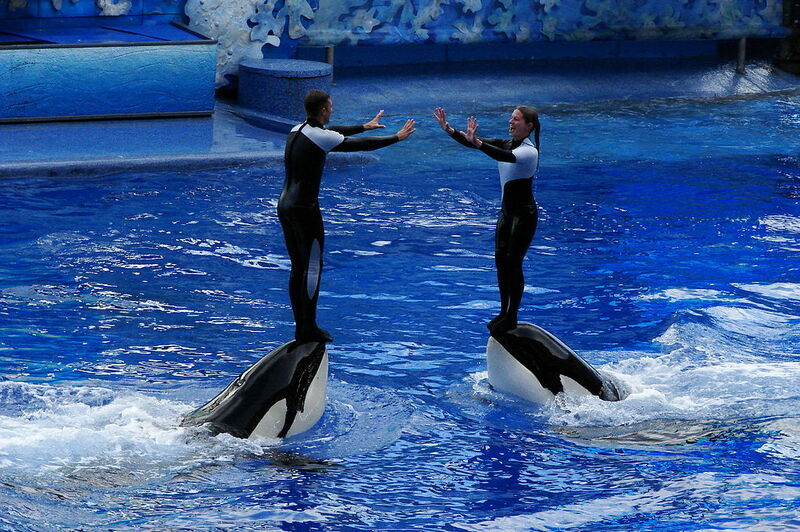 Why Should You Visit SeaWorld? There are many reasons to go to SeaWorld Orlando. It’s not just a large aquarium, it combines thrill seeking in the theme parks with learning experiences in the marine park. You can see dolphin shows, learn about killer whales, and observe animals in their natural habitats. A personal favourite for many kids is getting to see the Penguins of Antarctica. There are also sections to see birds, sharks, and turtles. And you can take the little ones to feed the sea lions or see stingrays up close and personal. The older visitors can spend hours, if not days, in the theme park. You can ride the tallest and fastest rollercoaster in the entire city. This is certain to get the adrenaline pumping and puts a smile on everyone’s face. Another favourite is the Manta Rollercoaster, which simulates what it’s like to be a manta swimming in the ocean. If you’re at SeaWorld during Halloween or the 4th of July, you’re also going to be in for a treat. There are lots of fun activities for the younger ones at Halloween including decorations, live shows, and trick-or-treating. You can also see a firework display on the 4th July. One of the best experiences at SeaWorld is to eat in the underwater restaurant. You’re going to be sat at the table looking up at all the fish and marine life actively swimming above your table. This is one of the most unique things visitors can do at this theme park. The theme park is busy all year round and will always have plenty of activities and events at any date on the calendar. But, it’s also important to plan and try to avoid peak season if possible. The busiest times of the year are during spring break and the summer holidays. Families from all over the United States come at this time, which is reflected in the slightly higher price. Another thing to consider is that you should also try to avoid the long weekends. If you’re visiting with your family, you don’t want to spend all your time waiting in line or having a poor view of the show. This may not always be possible for domestic visitors as the school holidays will dictate when you can take a vacation. But, it should be a big factor in planning the trip for international visitors. SeaWorld is a perfect destination to visit and have a fun experience with the entire family. You can see shows, ride rollercoasters and eat dinner in an underwater restaurant. This destination promises to be a memorable one. Just try to avoid the busy periods to make sure it’s unforgettable for the right reasons!